Delhi to Haridwar. Meals at Grand Cheetal. Halt at Hotel Aarti. Take a tour to Kempty Fall & Mussoorie. Drive to Ranachatti. Halt at Hotel Krishna Lok. Ranachatti to Hanumanchatti. Trek to Yamunotri & back. Halt at Ranachatti. Ranachatti to Gangotri. Halt at Gangotri / Bhairon Ghati in GMVN Tourist Bunglow / Uttarkashi Hotel Relax. Gangotri / Uttarkashi to Tilwada / Chandrapuri. Halt at GMVN Tourist Bungalow. Tilwada / Chandrapuri to Gaurikund. 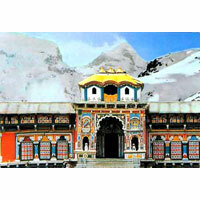 Trek to Sri Kedarnath Ji. Halt at GMVN Tourist Bungalow / Hotel. 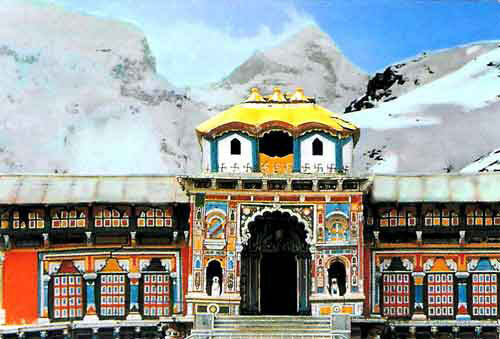 Sri Kedarnath Ji to Gaurikund. Drive to Jyotirmath. Halt at Hotel Snow Crest/GMVN Tourist Bungalow. Jyotirmath to Auli (Optional at Own Expenses). Back to Jyotirmath. Drive to Sri Badrinath ji. Rudraprayag to Haridwar via Laxman Jhula - Rishikesh. Halt at Haridwar. Visit to Haridwar. Leave for Delhi after Lunch.